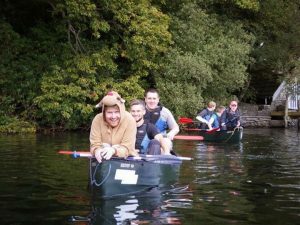 We’ve seen our fair share of Stag Do’s over the years, and I have to say, we do love a group who takes their time to think up fun stuff to do over their weekend (other than the activities with RDMH, obvs) and who go for it on the dressing up front. We’ve had Robin Hood and his band of Merry Men, Maid Marian, Sea Captains and their motley crew, reindeer onesies, pink tutus, lycra dinner jackets, and of course, the classic Borat mankini. 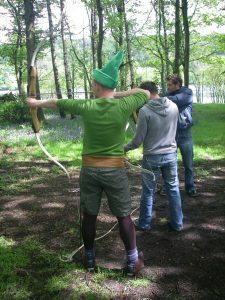 But what else do you need to remember for your Stag Do Adventure Weekend, especially if you’re staying at Lowick School Bunkhouse? Everything on the RDMH Activity kit list – It’s all on there for a reason. And when we say trainers you don’t mind getting wet, we don’t mean your box fresh high-top classics, we mean the stinky pair that aren’t allowed in the house! Everything on the Lowick School Bunkhouse kit list – Do you really want to be the only person who thought they didn’t need a sleeping bag? Costumes – We’ve already given you a few ideas, but they’re just the tip of the iceberg. Don’t forget they might need to work with a wetsuit! Camera – Everyone has their phone camera on them these days, so make sure you remember to charge them up and capture the fun. 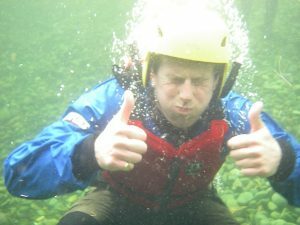 Or even better, invite a mate who has a Go-Pro and make them official Stag photographer for the weekend. 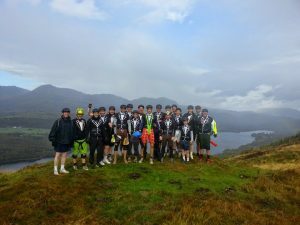 List of challenges – You may not want to jump into the lake, but who are you to argue with The Rules of The Stag! Party games – There’s nothing like having a few drinks and then bringing out the Cards Against Humanity. 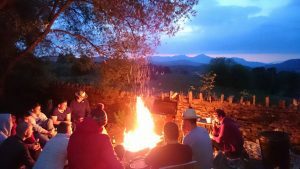 Stories to tell around the fire – You’ve had a day of adventure and now it’s time to complete the stereotype by getting the firepit lit, grabbing a beer and getting those embarrassing stories about the stag going. 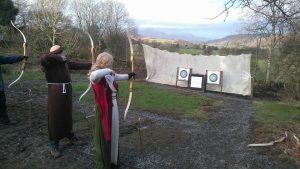 This is what Stag Do’s are made for after all. A healthy appetite – There is just something about breathing in our fresh Cumbrian air that increases the appetite. Couple that with the energy used climbing a gorge or trying to win a tug-of-war on a raft and you’ll be feeling ready to feast. Lowick School Bunkhouse has a fully equipped and spacious kitchen-dining room with plenty of space for cooking up a storm, and we also offer a pre-order service for breakfast and BBQ packs from the local butcher, as well as packed lunches on your activity day. You can also pre-order a keg of beer from the local brewery. And if you’re still hungry, we’ve even got a couple of local takeaways that will deliver to the door. Not bad huh? So there you go. Just a few ideas to help get you started on that planning and packing. And remember, this is a weekend that will stay in the memories of the Groom forever, so you’d better make it a good one! 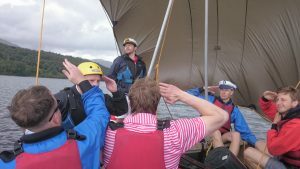 If you are still looking for the perfect Stag Adventure Weekend with activities and accommodation all from the same provider, take a look at our Stag Activity Weekend blog post for an idea of what we can provide for you.